Poll results: Will you be getting a new Google Nexus phone? Both phones are said to sport front-facing stereo speakers, rounding up two pretty compelling offerings that will be the first phones to ship with Android 6.0 Marshmallow out of the box. Thus, we asked you last week if you are considering to get one of those two puppies, and which one would you get. It turned out that more than 60% of our 2583 respondents are willing to get one of those two first phones with Android Marshmallow, with 38% opting for the LG Nexus 5X, while 22% would opt for the larger and likely more expensive Huawei Nexus 6P. Honestly, the SD 808 ruined the 5X for me, seeing how graphics power is crippled and that's the most important thing in smartphone performance. Just praying that that the Z5 compact delivers. Based on well the One M9 does at 1080p I am hopeful. Graphics is the most important thing on as smartphone? Really? I don't equate the ability to play games with 'smart'phone. And if my Nexus 5 blazes through tasks better than most new phones, then I am sure the 5X will as well. I broke down and got a Nexus 6 (amazon sale) since my old phone really started dying. I think it really is a better deal than the Moto X Pure (other than the expandable storage and being slightly bigger.) Since you haven't plunged yet you should wait for the new Nexi to come out before pulling the trigger, I really had my eye on the 5X but it's important to see what they both bring. Yeah, I almost got a Nexus 6 a while back, but I really have become dependent on Motorola's software. Unless there's a third party app that'll allow me to launch the camera and flashlight with gestures like the Moto X (And there very well may be, I haven't actually checked), Or an alternative to Moto Assist, then I don't think I could go with any other device. If there are alternatives out there that don't require rooting then I will probably go with a Nexus this time around. 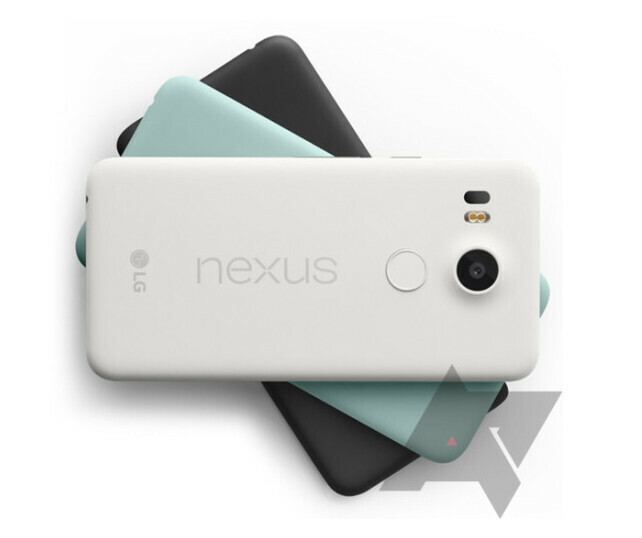 So, you going to sign up for Google Project Fi now that you have the Nexus 6? Moto x pure, Nexus 6p or BlackBerry Priv ? Nothing like picking your poison. After seeing how powerful iPhone 6S is, I can't possibly get an SD 808 phone, and the 6P is way too big. I love how stock android looks, and the fast software updates are amazing, but I've never skimped on processing power and will possibly never do that. I need a phone that can run even the most unoptimized software, app, game or website smoothly and not leave me hoping for optimization in future. I'm using the Xuper and a 6s plus and both phones are great. The IPhone is a beast!! Well, my Asus PadFone S with SD801 is still have a comparable UI speed and smoothness with current flagships, while it's still can handle any demanding games with decent frame rates. At $160, you can have a smartphone with flagship experience. Even my Nexus 5 runs as smooth as any iPhone. Sometimes numbers are just that -- numbers. Nexus 5 is as smooth, but not as fast. Besides, it trades performance for efficiency and drains battery like crazy. 2GB of ram on the Nexus 5x? What is this 2012?? How so? SnakeBoy implied that a phone with 2 GB of RAM is acceptable for a 3 year old phone, yet their profile shows that they have two phones with only 1 GB of RAM. So wouldn't it be hypocritical of SnakeBoy to imply that 2 GB or RAM is dated specs when it is acceptable to them to have half of the amount in question on their preferred device? Or do you just attack anyone who talks poorly of your precious apple. The irony in this comment is ripe. Umm... According to your profile you currently have two phones with 1 GB each. My Galaxy Nexus from 2011 had that amount, I would think that any phone from 2012 would be an upgrade for you. The nexus 5x is a good upgrade to my nexus 5 biggest battery better camera, slightly bigger screen but not a phablet & fingure scanner, as long as it still has wireless charging then this is my next phone. I want to buy both 6p for and 5x for my brother. I want to buy both 6p for me and 5x for my brother. Damn, three years? That phone served you well. Yeah, get one of the new Nexus phones and you'll be blown away. I think camera performance is the deciding factor for most people, otherwise they would just stick to iPhone 6s, 6, Samsung S6, edge, Note 5 and LG G4. Rumors circulating that it has a IMX377 Sony Sensor, regardless of this it all comes down ti Android's camera app and software. Well, seeing as they're releasing 2 phones this year, the 2 GB model is clearly aimed at a consumer less interested in over the top performance and simply wants a modest, high quality device. If you demand performance then you might want to keep an eye on the Nexus 6P. Just a few short hours to know until all is revealed.